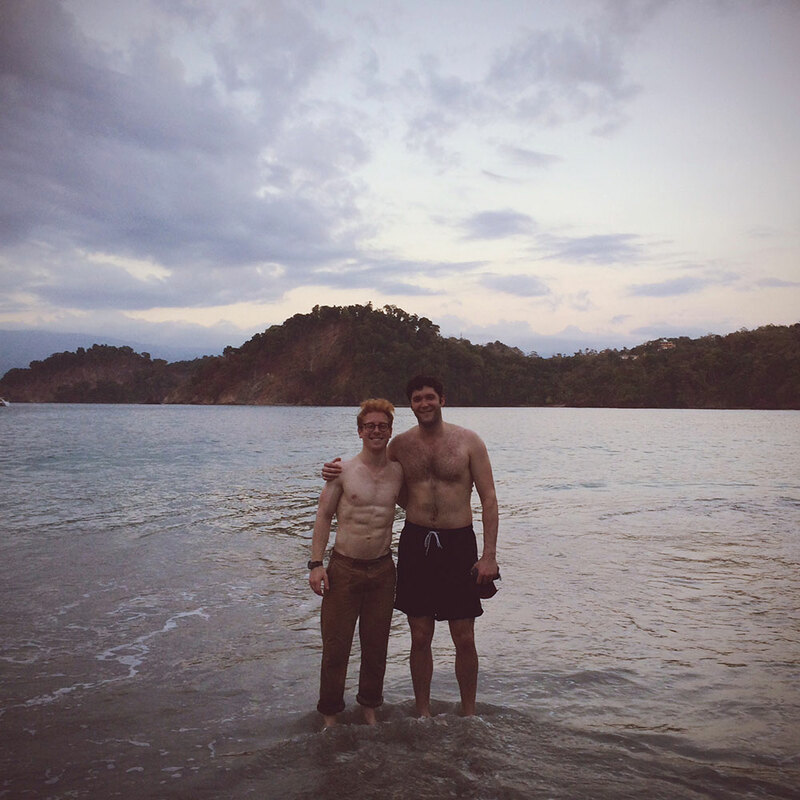 Chris and Ben pose for a photo after a workout on the beach in Manuel Antonio. 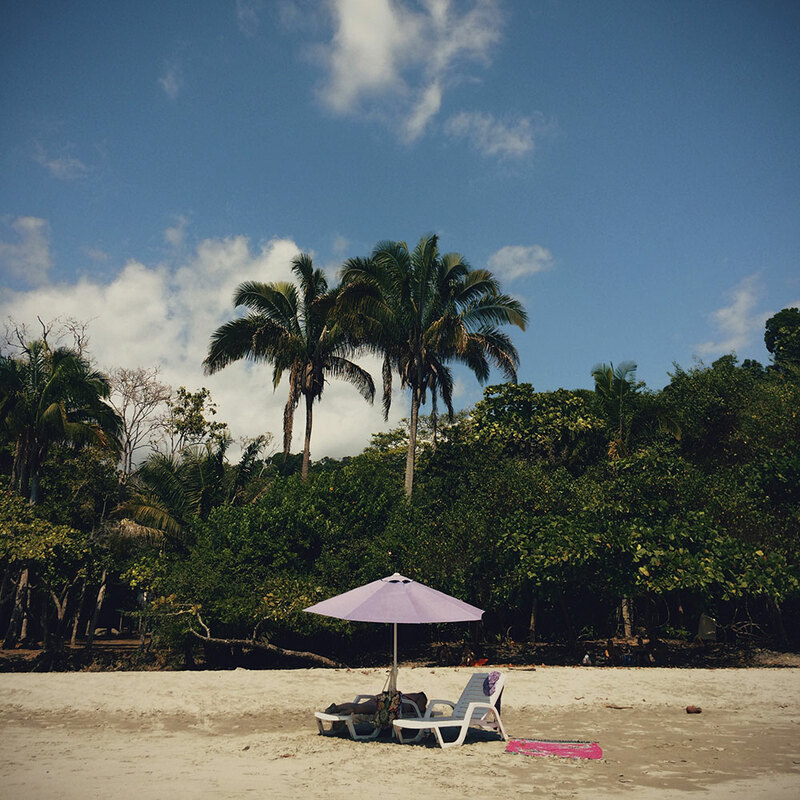 Ben and Chris worked from Villas Nicolas in Manuel Antonio. Game of Life in ClojureScript. 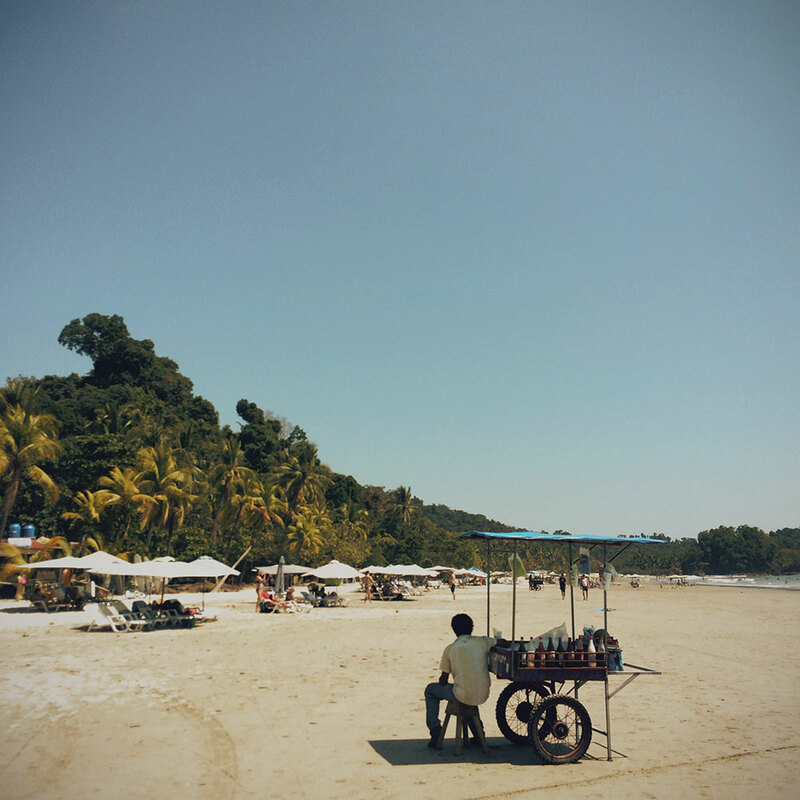 View the source on GitHub. 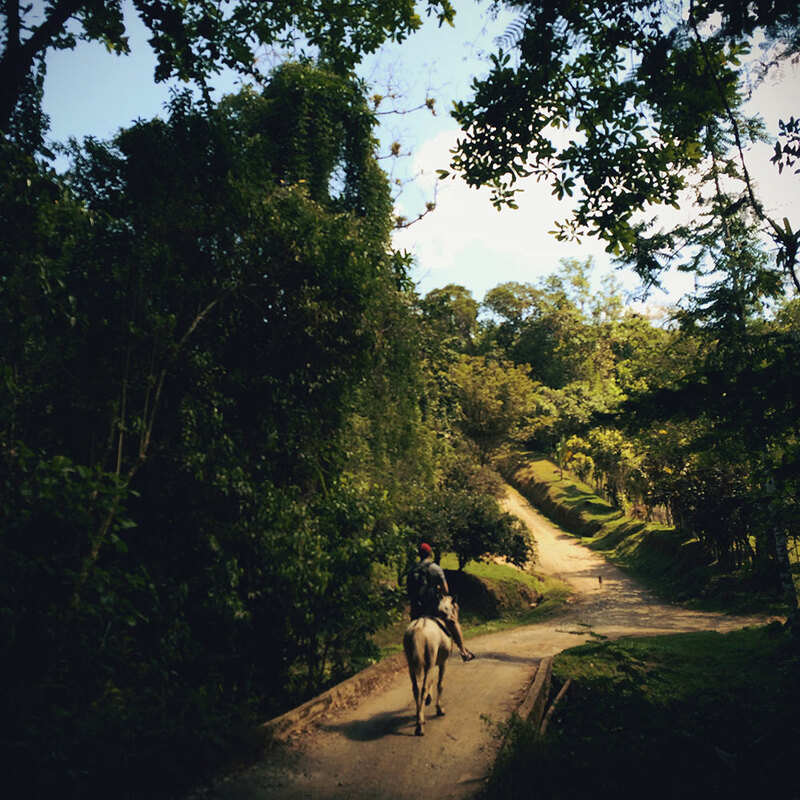 Ben rides a horse through Los Quetzales National Park, Costa Rica. 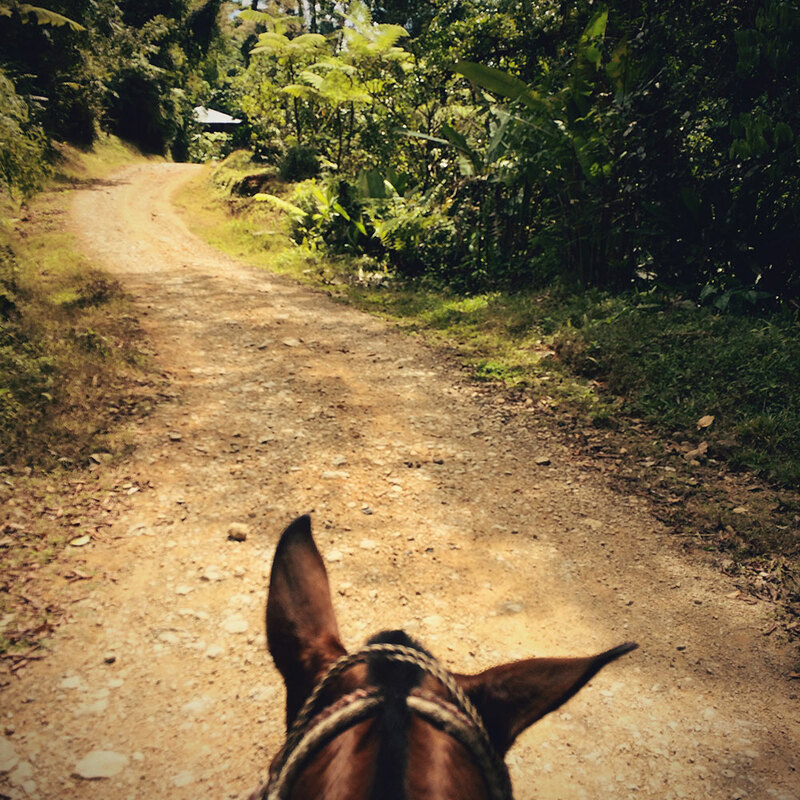 Mariachi (horse) leads Chris through Los Quetzales National Park, Costa Rica. Maze Generator and Solver in ClojureScript. 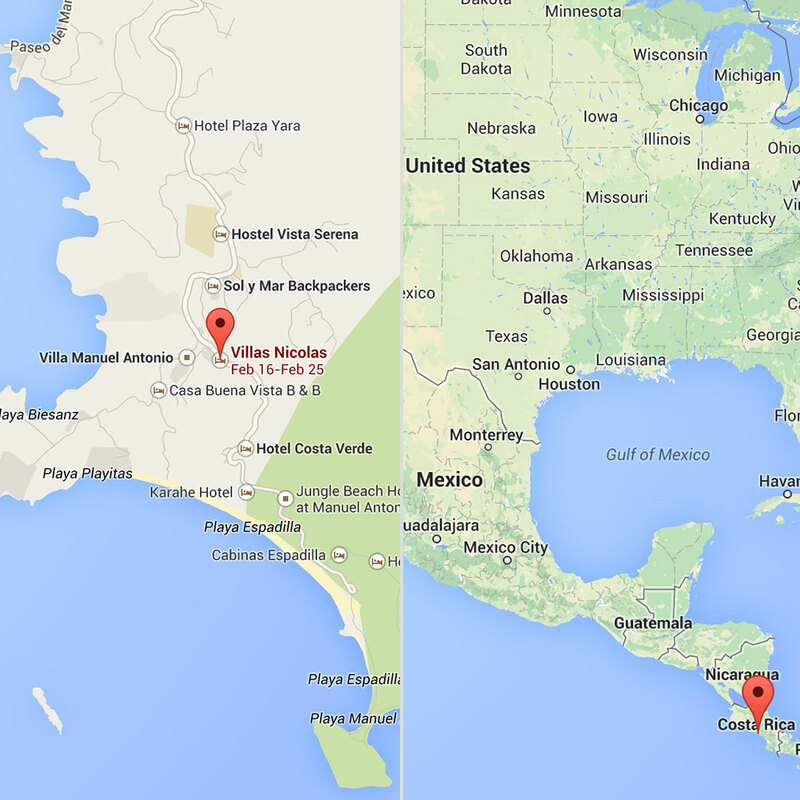 View the source on GitHub. 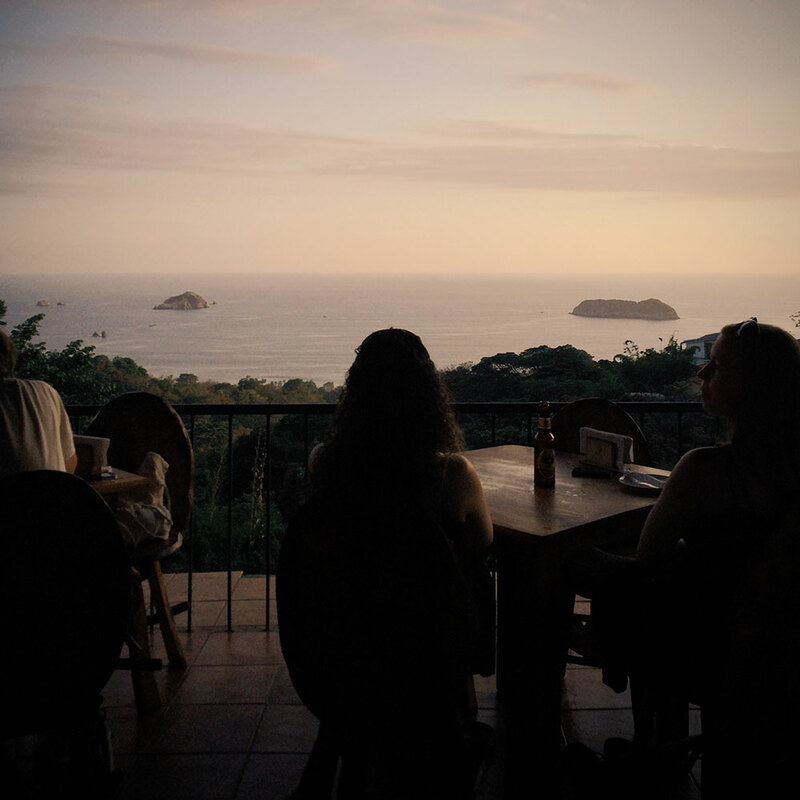 Cafe Agua Azul, Manuel Antonio, Costa Rica.